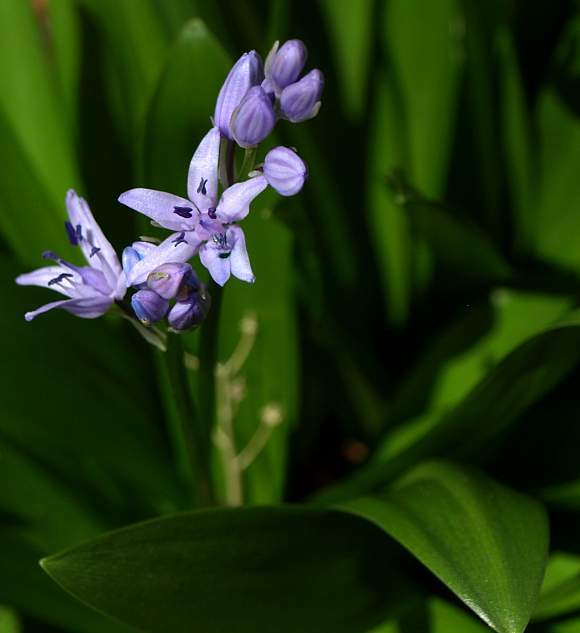 At up to 40cm high this is a tall squill, but not the tallest to which honour goes Portuguese Squill (Scilla peruviana). The bracts at the bottom of some flower stalks are a long 10-25mm - one can just be espied left of centre. The leaves are broad and taper near the end to a blunt tip. The tepals of the flowers are 9 to 12mm long. The anthers are indigo-coloured and x-chromosome-shaped. 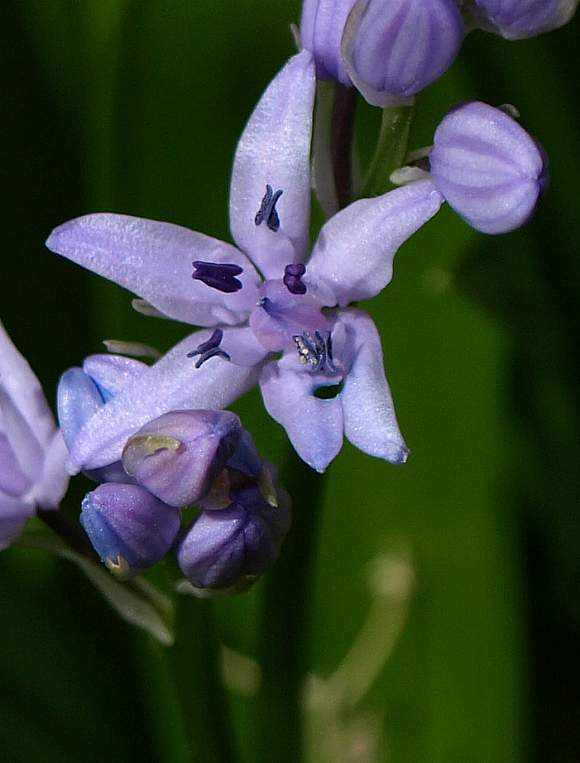 Distinguishing Feature : The very wide leaves which are 1-30mm wide, the widest of any native or naturalised squill in the UK. 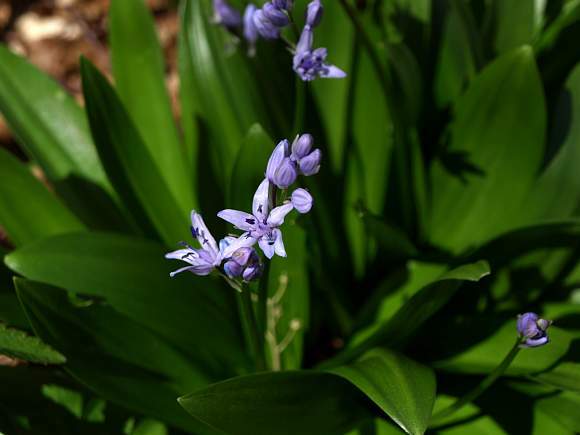 It is a neophyte, an introduced-naturalised plant, which spreads from garden-throw-outs in open woodland in scattered locations from Berkshire to South Somerset.